Earlier this week, Frances Spalding gave a talk at The Hepworth Wakefield entitled A Realist Vision: streets, walls, and cranes in British Art from the 1950s. While I wasn’t able to attend, I’d wager that her lecture featured the work of Prunella Clough – an artist who was attracted to things seen out of the corner of one’s eye, such as the shadows on a subway wall or a tangle of rusting wire. Given Clough’s significant contribution to modern British art, it is hard to believe that prior to Tate’s catalogue accompanying their Clough show in 2006/7 nothing substantial had been written about the artist – a fact that had not escaped our notice. The idea of producing a monograph on Clough had been percolating within Lund Humphries for many years. After an initial approach to Frances Spalding floundered, I contacted her again in 2007 with a view to realising the book that we had long wanted to produce. Luckily, Frances’ enthusiasm was undimmed even in the face of the financial challenges that our books present – how can substantial production costs be reconciled with relatively modest print runs? Commissioning art books requires much determination, however, and through combined effort we were able to buoy the budget through the generous support of the Clough Estate, Annely Juda and the Paul Mellon Centre. 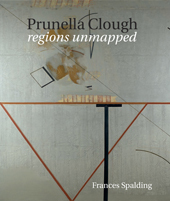 The arrival of Prunella Clough: Regions Unmapped in February 2012, four-and-a-half years after I first contacted Frances for the second time, was extremely satisfying. Although the gestation was lengthy, we all feel that the end result was well worth the wait – we hope that our readers think so too.